Personal care home, levels one and two. Registered charitable organization, non-profit, non-government funded. Accommodations include ten singles and five doubles, occupancy twenty, all with private washrooms. Twenty four/seven staff. Outside door alarms. 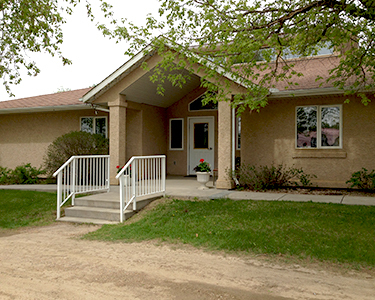 The care home is wheelchair accessible, there is an outside ramp and no stairs. There is a beautiful fully fenced backyard with screened in gazebo. We are only one block away from the Borden Primary Health Center and Pharmacy. 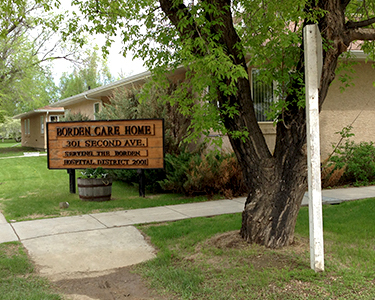 The Borden Care Home provides a safe environment physically, emotionally, and spiritually for all residents.